The rocket scrambler is a creative play option for your play area. It attracts kids just by the appearance and also encourages the curious minds to research about the real aspects and learn about the world. The scramblers offer a multitude of fun in climbing, jumping and balancing through the metallic rails. It helps in stretching body muscles and improves the attention span. Those who are a little bit adventurous and playful would love this ride to the core. Kids are encouraged to climb up the ladders to one end to the other; it would be a greater enjoyment as they can have fun in groups. Playing in the scramblers is actually a fun work out for kids. The activity helps in balancing and body coordination. 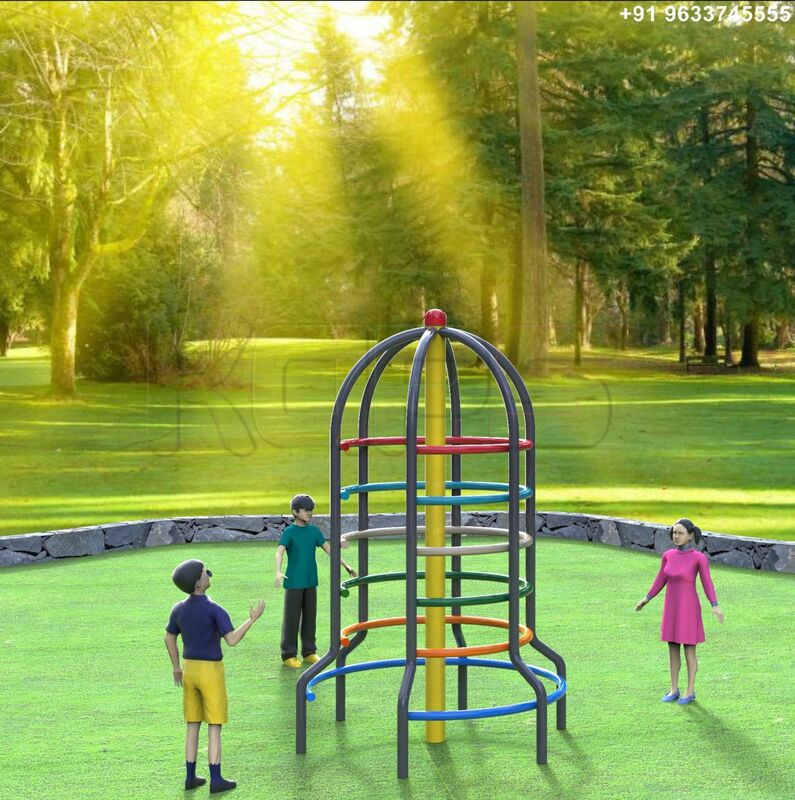 It is the perfect choice for outdoor play grounds to have happy play time.